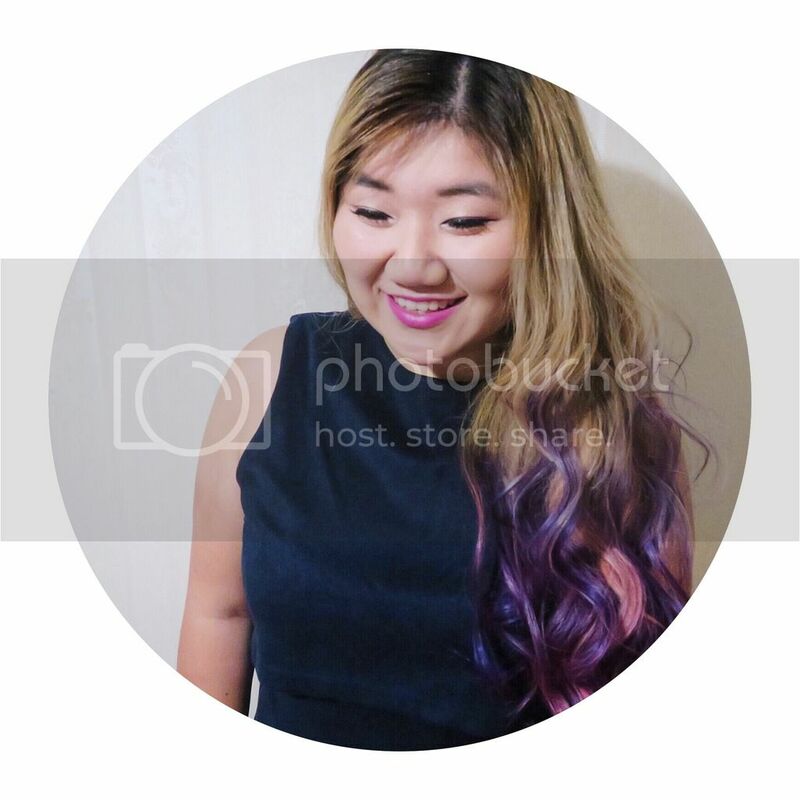 I love carbs in all forms, rice, noodle, pasta, bread, you name it. Bagels is kind of the up-scale version of bread I guess, being more doughy and thicker in texture. 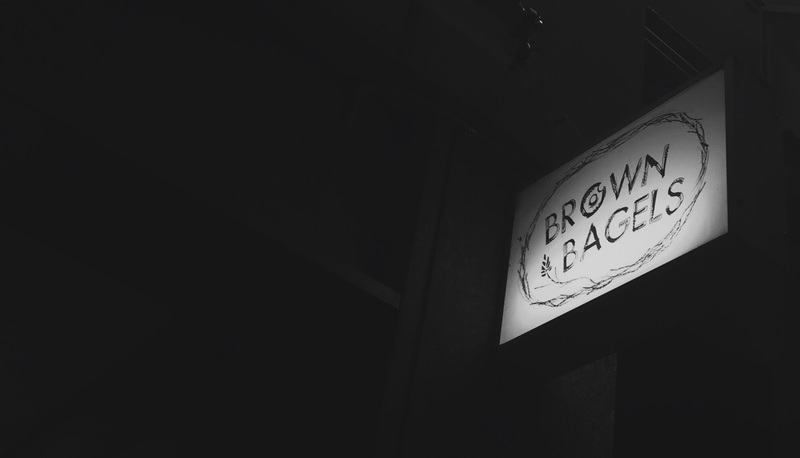 Brown Bagels specialises in a variety of bagels (the name kind of gave it away didn’t it), and it’s been on my radar for a while now. I opted for the tantalizing sounding spicy pork. 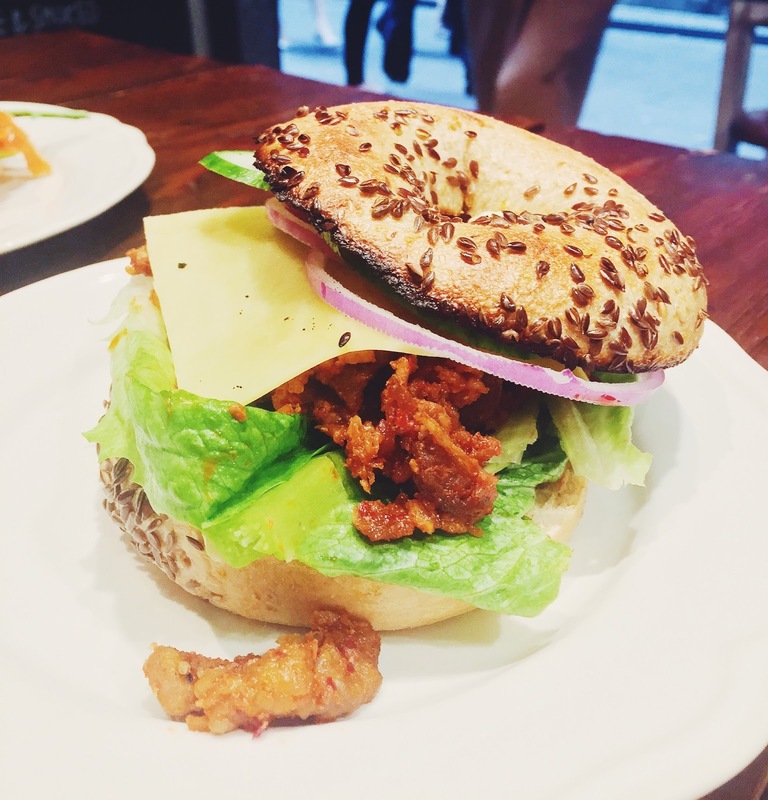 There was literally a mountain of spicy pork squished between the bagel, and it had just the right amount of chilli, and paired nicely with the cheese, lettuce, and that one lonely ring of onion. Bagels are hard enough to cut on their own, add bits and pieces of pork into the mix, this was definitely super messy to eat, but the juiciness of the pork made it worth while. The filling reminded me of Korean food, and it was certainly a pleasant combination of East and West. My friend went for the more common choice of smoked salmon. 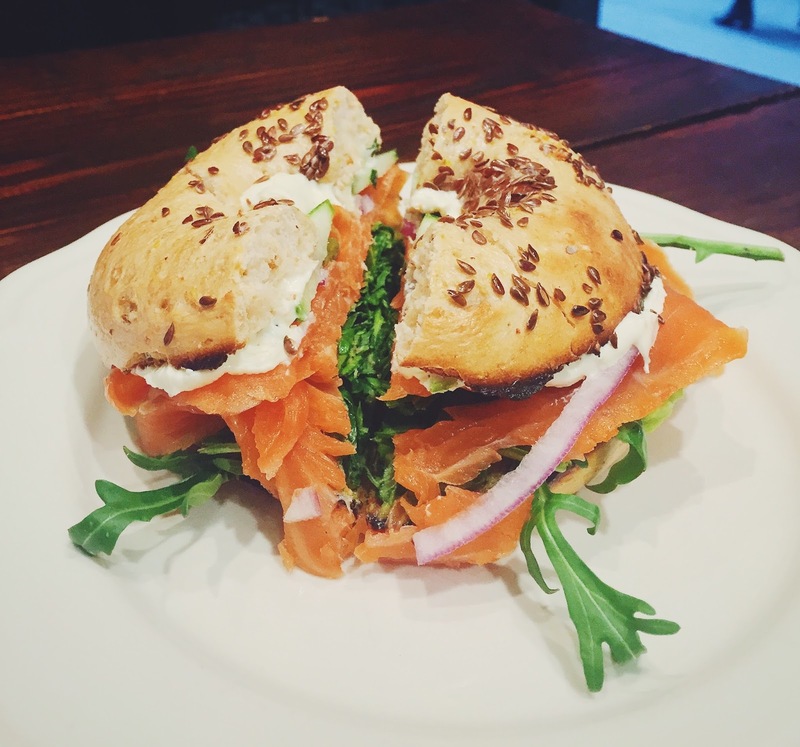 There was plenty of fatty smoked salmon to go around, and the rocket did lend some freshness to the bagel, and my friend thoroughly enjoyed it. 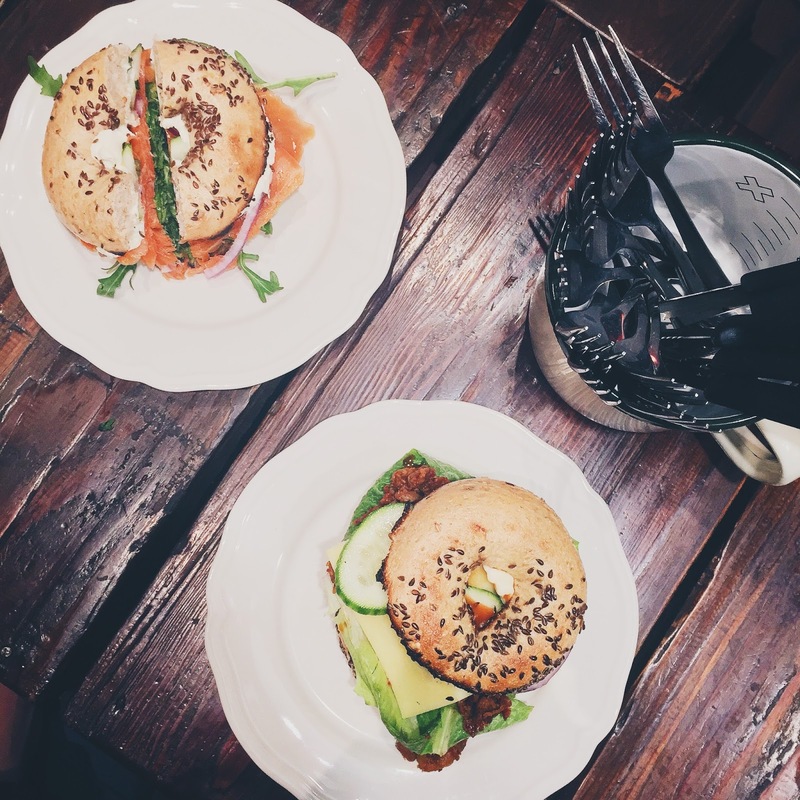 Although small, Brown Bagels offers a decent list of bagel fillings, and there are some sweet options too if that’s what you’re after! For just under ten dollars, it pretty much ticks all the boxes, and it’s a great lunch option if you work, live, or study closeby! 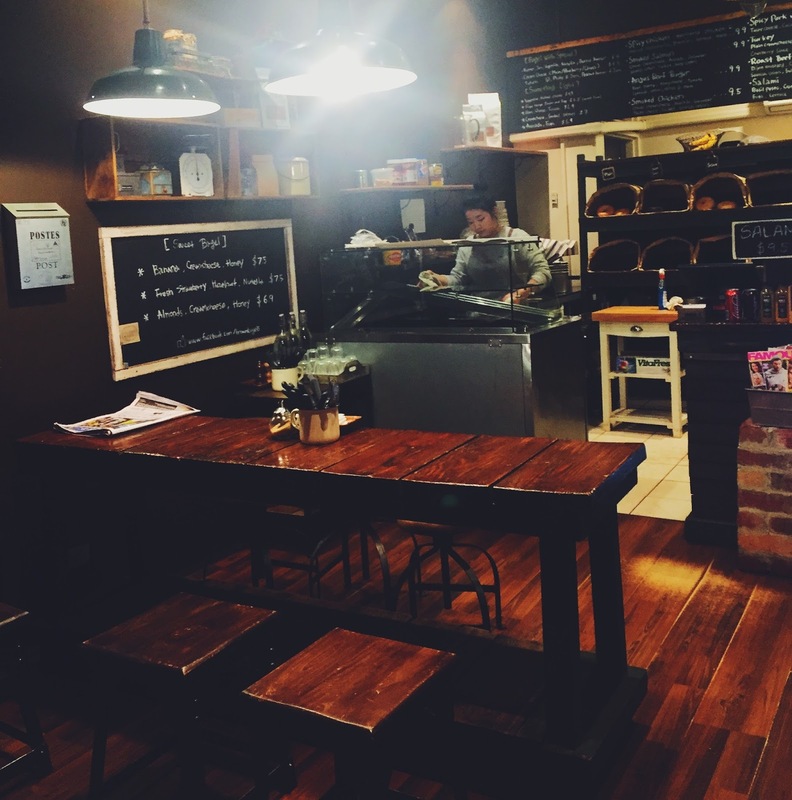 The place was actually kind of hard to find, because although the address said it’s on Collins Street, it’s actually on a nameless laneway off Collins Street, but regardless, it’s a ten minutes walk from Flinders St Station.